Just some?!? Why not release it all! You want em? Here ya go! I did this back in the early 2000s. I did it when I was visiting my uncle's house in California. 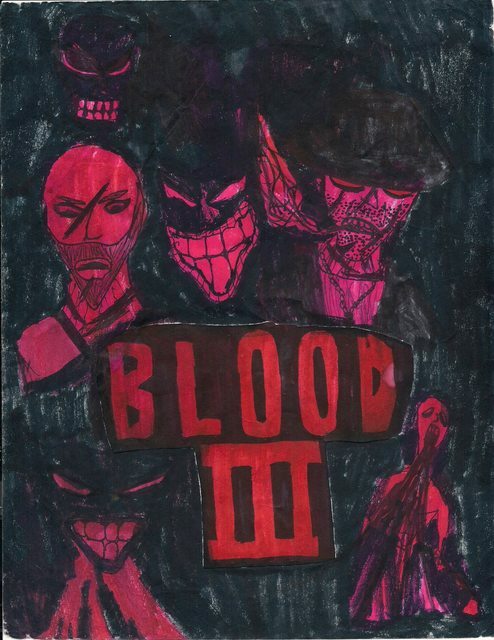 After watching his VHS for Tim Burton's Batman, I thought of Blood 2, and decided to do this. Back then, I didn't get to play Blood 2 yet, but I read the reviews, as well as reviews for tons of other flawed sequels that I never played like Unreal 2 or Deus Ex 2. I was thinking of remaking game then, and had Unreal 2's engine in mind based only on its screenshots. Looking back, this picture has a very The Crow vibe to it. 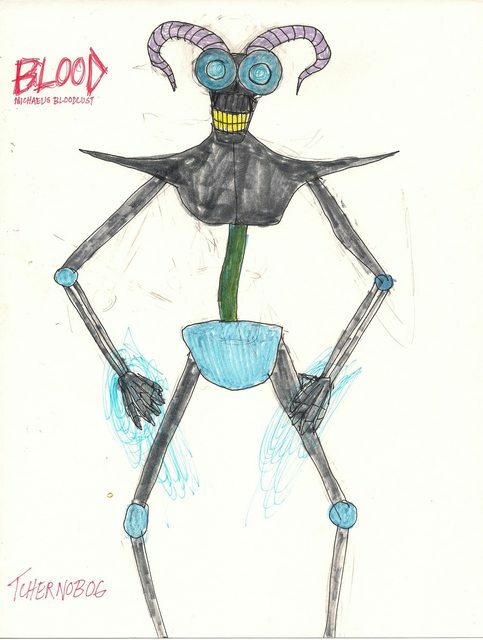 Back then, I was influenced by Gerald Scarfe and Ralph Steadman in my drawings. I did this drawing in the prime of 2001 while visiting my grandmother in Honolulu. I was excited by the promo video I saw of Doom 3, that I was thinking that Doom 3's engine and what Doom 3 promised should be used in Blood 3. Just in case you didn't realize, this and the last drawing were done all in marker. This one in particular used red and black Crayola markers, and maybe some Sharpie black marker to make some parts stand out more. The monster faces are vague, and I wish that I did some concept drawings for what those monsters would look like in full. The man left of Caleb is supposed to be The Crusader, dressed in a kimono (indicating that he had been with the Eastern sect of the Cabal). Done between 2006-2008? I know that I did it when I was excited by kurt fuhr's B2R project, and then though of doing my own kind of B2 project which was intended for as a level for Dark Forces II: Jedi Knight. Keep in mind again, I had no experience in modding, and I still never had the time to see if I could do mods or levels. I thought of doing a prequel set of levels set before the events of B2, when Caleb was wandering through Tchernobog's dimension to search for one of the items needed to awaken the Chosen. One level was supposed to be set in a 1950s-styled suburban neighborhood in the middle of the blood-colored desert, populated with zombie versions of 1950s white American suburbanites. The level was supposed to be a little bit of a tribute to Dark Seed II and Mullholland Falls. After Cabal cultists raid the neighborhood like gangsters, Caleb makes his way to through the bloody landscape to the Cabal castle which holds what he wants. The Stone Gargoyle seen above the tower, which is way bigger than your usual Stone Gargoyle, is supposed to be Cheogh's grandfather. Here's a link a thread in The Postmortem. Just posted my old B2R art in tribute to kurt. Thought it would be more appropriate to post it there. Excellent work BEAST. 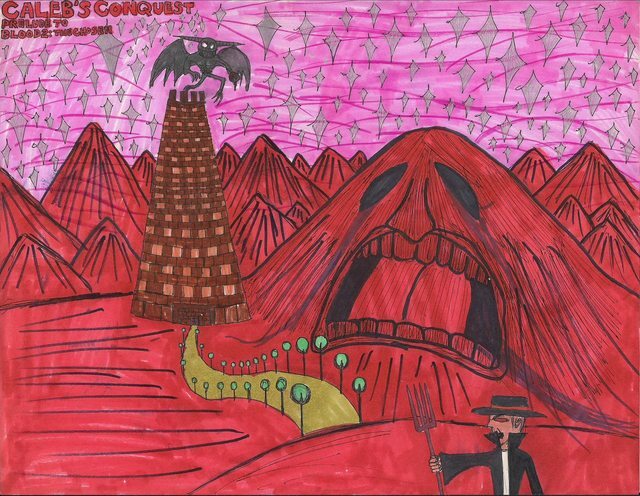 The Caleb's conquest one was of particular interest, especially the use of perspective. The others hav a movie posterish feel that works. I await your fanfic, will it have any art? N0t_mINe wrote: Excellent work BEAST. The Caleb's conquest one was of particular interest, especially the use of perspective. The others hav a movie posterish feel that works. I await your fanfic, will it have any art? Thank you! I'm close to writing my Master's Thesis, so I don't think I'll have time to write my fanfiction at the moment. When I do write some fanfiction, rest assured, I will do illustrations. I think that my story ideas and my drawings would go together quite nicely. 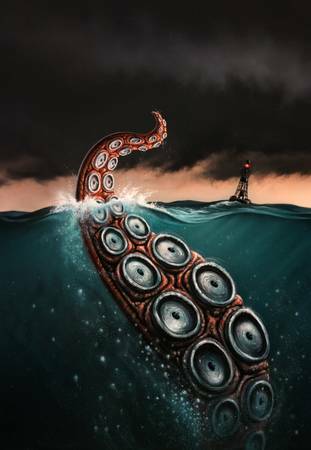 Here are some more fan art. This image was inspired from looking at the Blood Alpha. I thought of a mod idea that would re-imagine Blood with help from the Blood Alpha, but add more atmosphere to it by borrowing influences from Rise of the Triad, Quake, aspects of Duke Nukem 3D's level design, Hexen, Blood Omen, and more. I wanted to have a boss fight that was just a Voxel-based dangling flesh loogy attached to the ceiling over a big pool of blood in a Cthon-like arena, and a narrative-driven boss encounter with Tchernobog. This was to be called Blood: The Alternate Version, because I wanted to do my own series of Alternate Version mods, like Unreal: The Alternate Version which expanded upon the Unreal Alpha demo and the beta, and Half-Life: The Alternate Version based upon Half-Life's early alpha demo. (I decided to change the titles of those ideas to Unreal: Escape from Na Pali '95 and Half-Life: Alpha Decay). Afterward, I then recalled from The Postmortem that Caleb was originally going to be called Michael, so I thought that the better name for this ideal project would be Blood: Michael's Bloodlust, which has Caleb start off as Michael in blue acolyte robes, but then have him gradually wear the trenchcoat and gunslinger's hat in later episodes, and thenceforth become Caleb. I remember working a lot on the little circle details on the landscape, to make it look like it was rocky. If you look closely, at the grave next to the Cultist-robed dressed Caleb, you can see the mask of Tchernobog as his gravestone instead of a cross. I nearly threw it away once, but I'm glad I kept it. When I saw an screenshot of the Tchernobog boss, in what I thought was the original Blood site, I thought that recall that he had strange barrels for eyes that lit up like Cheogh's. 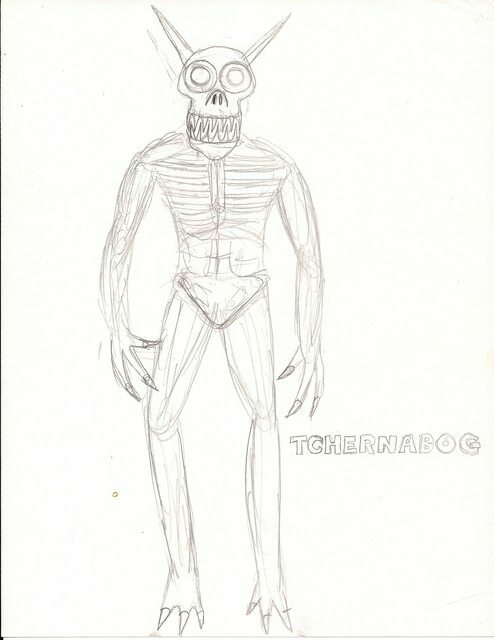 It turned out I was wrong, but I've been trying to capture the unique view I originally had as Tchernobog when I was younger, because my memory of Tchernobog made him seem like a bizarre voodoo bone puppet. I failed to capture him, but this is kind of the closest I could get. This is another attempt to try to capture what I thought Tchernobog looked like. I decided to make him seem like he was related to his Gargoyles, and so I came up with this. I really how I did his body and face here. Here you go kind sir! Tchernobog wrote: Here you go kind sir! Tchernobog, you have made me feel like the luckiest Bloodite on the face of your wiki. Well, not trying to pop your bubble, but we do make a point of having a low entry barrier for content on our Wiki. If it is Blood related in any way, we want it there, for all to see. We are an inclusive community. That being said, we are of course very pleased to have work of your quality join our collection. I especially like what you did with the first bit of art you posted; you got the characters being instantly recognizable despite the fact they are made with rather rough lines with littler finer details. It is a very nicely styled piece. Recently played for the first time the retail version of No One Lives Forever instead of the few demos I've played. What impresses me the most about NOLF is that it's success was born from the shortcomings of Blood 2: The Chosen and Shogo This quote from the Wikipedia article on the game explains it. Work on No One Lives Forever started in 1998, after the release of Monolith Productions' previous game, Shogo: Mobile Armor Division. Craig Hubbard, game designer for Shogo and NOLF expressed that Shogo "(although critically successful) fell embarrassingly short of [the team's] original design goals", and "it is a grim reminder of the perils of wild optimism and unchecked ambition" exercised by the relatively small development team. The team (which included approximately 18 core members during development of NOLF) was determined not to make the same mistakes again with their next game. 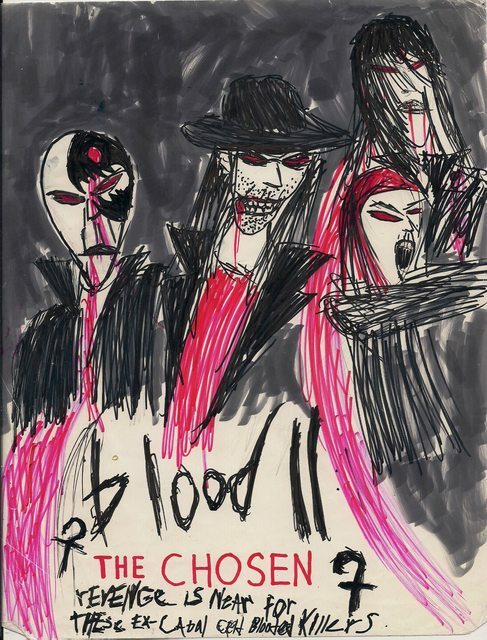 Describing the pressure on Monolith, Hubbard said that they "were still trying to live down the stigma" of their 1998 game, Blood II: The Chosen, and that the company "had a lot to prove, both to ourselves and the gaming public." They certainly did prove themselves. From playing the game, I am most impressed by the improved graphics, gameplay, and interactivity. Besides the infuriating parts, like henchmen already knowing you're there and thus ruining what was supposed to be a perfect stealth record, or levels where they deliberately make it difficult for you to aim perfectly so you lose your past 100% accuracy you accumulated, or how they won't let you turn off the damn cameras, this game is such an accomplishment and a brain exercise (especially when I work hard to get my stealth and take downs right). I prefer the stealth of Thief 1+2 and Deus Ex 1 over this game by far, but to see that NOLF fulfills the ambitions which Monolith had tried and failed with their past LithTech games still makes this game amazing and awesome for me. The writing and character development is so well done, hilarious, and intense in this game, that it just makes me wonder what would have happened if they had pulled off that same quality of writing of Blood 2 or Shogo. Hell, I'm curious if whoever wrote NOLF's story could do the same for a Blood 3. If that quote is from the gamesutra postmortem for NOLF then I promise you it's a good read. I was surprised to learn that NOLF started out as a sequel to shogo. The game itself was carefully crafted, too bad about that forced complexity- 'Oh, there's a carpet, time for stealth. Here's a lock that can only be blow torched open, too bad I started the level with a pick instead.' It's another shooter I progressed far along before having to give up. Lithtech 2.1- 2.5 were nice engines though. I have never played NOLF but I understand the feeling - the thing that actually won me over to Deus Ex was when I realized I was not being entirely shoehorned to do things in a certain way, meaning that I could actually start to enjoy the game by doing crazy things like lunging at people with the Dragon Tooth sword when it felt appropriate. Stealth elements do tend to end up like the former rather than later example far too often, however. Not that anything I have said here has anything to do with Blood, so lets all just agree that Blood III should not do that, or at least be more like Deus Ex, or something. If you liked Deus Ex you'll love NOLF. NOLF has that 'humor-is-intrinsic-to-gameplay' feel that Blood does, was probably the first 3d shooter to feature goats, and has vaguely similar combat/equipment system to make it a quick learn for a DE fan. To be certain, those 2 games are definitely from the same era and school of thought in game design. Unfortunately NOLF has a closed level design in many cases, while DE specifically tries to keep the path to most major map goals open. Honestly I would have played through by now if it weren't for steam and the dreaded 16 bit installers. Blood2 was supposed to have stealth, it was meant for Ophelia's play-through. I totally know what you mean by "forced complexity," N0t_mINe. The pressure the game puts on me to perform just right does get pretty annoying, as well not being able to carry all the gadgets that I want either. And rest assured, Tchernobog, that I have no intention for Blood III to conform to NOLF's gameplay, or even NOLF 2's gameplay, because both those games have oversensitive A.I. and tend to restrict to player. NOLF 2 did improve upon NOLF's gameplay problems by not making you have to stand still in order to shoot your targets 100% and had way more fun stealth kills (and there was a skill system too for doing certain things right), but enemies tended to respawn and you couldn't knock out enemies unconscious permanently. NOLF totally would've benefited from Deus Ex's example, because players or not limited in what they could do in the game, A.I. is not oversensitive, and you didn't have to beat the whole game first before getting all the gadgets to improve your score. I'm just saying that the parts NOLF got right, like the storytelling, the interactivity, the level design, and the cinematic quality of the gameplay would certainly benefit a Blood sequel. Of course, it would need to be tempered with the best of what Deus Ex was known for. I think that Deus Ex's gameplay model would go well with Blood, because both games allowed you to do whatever you wanted to your enemies and allowed you to complete levels however you wanted. 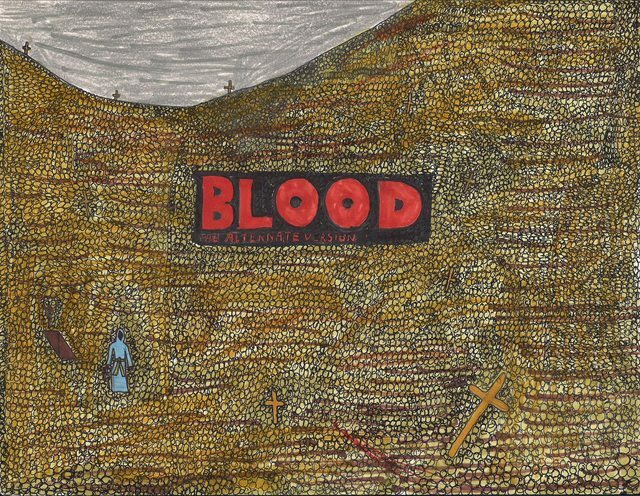 With Blood (provided with the difficulty, enemies, what weapons you had, how much ammo, and how the level was designed), you just finish off your enemies with a pitchfork and some dynamite, and be able to get into some areas by jumping on pots and breaking windows (this is most true for the first level of Blood). With Deus Ex, you had more varieties to complete levels and deal with enemies, as well as the ability to bypass enemies all together. I suggest that a designer use Episode 1 of Blood, "The Way of All Flesh," as inspiration for the sequel's level design, and enhance it with Deus Ex's design and gameplay, and use NOLF's cinematic storytelling as a template for how to really get Blood III's narrative going. And of course, used Postal 2 as a guide for the unlimited ways Caleb could cause carnage in tranquil or hostile places. BUILD games and Deus Ex's really do complement each other, and I think that modern designers should realize that while attempting to re-imagine old school shooters. I long to play the new Shadow Warrior, but I do realize that even its creators, as inspired as they were, could have benefited immensely from a combining the level design and choices from the original Shadow Warrior and Deus Ex. Even the remake of Rise of the Triad might have benefited from trying to combine the original RotT's design with Return to Castle Wolfenstein and Deus Ex. (I still want to play those remakes, once I get a newer computer). N0t_mINe wrote: Honestly I would have played through by now if it weren't for steam and the dreaded 16 bit installers. I probably would have played NOLF by now as well if it were not so DirectX tied and I did not have such a great unwillingness to p*** around with WINE for anything that does not have Caleb in it. BEAST wrote: And of course, used Postal 2 as a guide for the unlimited ways Caleb could cause carnage in tranquil or hostile places. BEAST wrote: BUILD games and Deus Ex's really do complement each other, and I think that modern designers should realize that while attempting to re-imagine old school shooters. In terms of creativity, level structure, interactivity, somewhat over the top voice acting... yes, indeed. I had to get NOLF from Amazon just so I could finally play it, because it will never reach Steam or GOG.com.... at least not now. If I do save up enough, I aim to collect the Game of the Year Edition, NOLF 2 , Contract J.A.C.K., and Tron 2.0. It really is worth playing. I would recommend playing the game first and then playing it again with all the gadgets and weapons. One fun fact: Remember the three different kinds of explosives in Blood and Blood 2? NOLF does it's own variation of those three different bombs, but this time in the form of lipsticks. I just find it great that Monolith payed subtle homage to the game which established its name, and turned those weapons into a clever spy homage as well.